No Contracts and includes a 2-year price guaranteed! *Bonus: Includes Port Activation ($78 savings) for existing cable subscribers, or new to cable subscribers (within 6 months). Includes equipment shipping and service activation for qualified homes. View full terms below. Order our skinny basic CipherTV Basic channels with 30 TV channels. Add on our CipherTV Local Package for free access to the regional over-the-air channels being broadcast in your local areas. 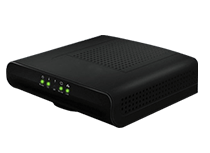 CipherTV Select requires internet service from a CipherTV partnered internet service provider. ABC HD features great movies and programming such as Dancing with the Stars, Modern Family, Desperate Housewives and Grey’s Anatomy in high-definition. CBC HD is Canada’s English – language public broadcaster, featuring local news coverage, miniseries, sports and movies. Knowledge Network offers a diverse range of content including commercial-free documentary programs. CHEK’s flagship program is CHEK News featuring stories from across Vancouver Island. The main French language television service of the Canadian Broadcasting Corporation. Canada first multilingual broadcaster offers programming such as NFL Football and World Cup Soccer. CTV offers a wide range of quality news, drama, sitcoms and sporting events. Global is home to prime-time hits including Survivor, House, and ET Canada. CTV Two features a dynamic mix of drama, comedy and reality programming on CTV’s second conventional network. City broadcasts intensely local, urban-oriented, culturally diverse television in an interactive style. CBS provides high-definition programming including CSI, Without a Trace, NCIS, Two and a Half Men, Cold Case, Criminal Minds and live sporting events. Watch Law & Order, Law & Order: SVU, The Tonight Show with Jay Leno and The Office in HD. Provide a national and local weather forecast for cities, as well as weather radar, report and hurricane coverage. Features sports, movies and popular network series such as Glee, American Idol, The Simpsons, Family Guy, House and Bones . APTN provides up to 120 hours of programming a week in English, French and a number of Aboriginal languages. Tune in to the riveting world of BC provincial politics to find out! CPAC provides a window on parliamentary, political and public affairs in Canada and the world. RDI broadcasts full local, national and international newscasts at the top of each hour and headlines. TVA is a private Francophone network that offers the most popular programs for the general public. MeTV brings viewers the best in classic television that rank among the most revered shows of all time. CBS features movies and prime-time programming such as Criminal Minds, The Big Bang Theory, CSI. This U.S. network features hit prime-time programs including Chuck, The Office, Dateline and 30 Rock. TV5 emphatically demonstrates the vitality of the French language and truly proven to be an exceptional television channel. Audio presentations of top movies and TV shows. Canadian French language Category A specialty channel specializing in the arts and culture including music, dance, theatre, visual arts, films and scripted television series. Access local TV channels with a CipherTV Bar ($198) an CipherTV App. Availability of local channels is restricted to their originating region and signal availability. KOMO 4 TV provides news, sports, weather and local event. CHNU-DT is dedicated to delivering uplifting, educational and entertaining programming to viewers of all ages. KONG, is an independent television station serving Seattle, Washington, United States. It is the secondary Public Broadcasting Service member station in the Seattle-Tacoma market. Offering viewers distinct and entertaining sports programming, including NHL coverage, Major League Baseball and NASCAR racing. CFTK-TV is a CTV Two owned-and-operated television station in Terrace, British Columbia, Canada. KCPQ/Q13 FOX is the Fox-affiliated television station serving the Seattle-Tacoma, Wash., market. Licensed to Tacoma. Heroes & Icons (H&I) primarily airs classic television series from the 1950s through the 2000s, with a focus on westerns, crime dramas, sci-fi, and action-oriented programming geared toward male audiences. Movies! is an American digital multicast television network and the Fox Television Stations subsidiary of 21st Century Fox. KIRO-TV, channel 7, is a CBS-affiliated television station located in Seattle, Washington, United States. Antv shows mostly Hindi and Turkish TV Series and also re-airs Indonesian old TV Series daily. Get the East and West version, allowing you to watch programming from an alternate time zone. MHz Networks is a global media company which specializes in presenting top-quality international television. TVW is a television station broadcasting in Perth, Western Australia, wholly owned by the Seven Network. KUNS-TV is a full-power commercial television station licensed to Bellevue, Washington. Showcases of user-generated music, animation and comedy videos, eSports, and compiled half-hour and hour-long episodes of short-form web series. English-language international broadcasting service of NHK, Japan’s only public broadcaster. Watch your favourite shows such as House, Bones and live sporting events in high-definition. CHEK TV has served Vancouver Island since 1956. It was the first private TV station in BC. CBS provides high-definition programming including CSI, Without a Trace, NCIS, Two and a Half Men, Cold Case. Something for everyone. really sums up the variety of programming offered by Miracle Channel… and it’s all Christian. The network features action- and adventure-based programming sourced primarily from the MGM television and film library. A City-affiliated television station located in Prince George, British Columbia, Canada. A City-affiliated television station located in Kamloops, British Columbia, Canada. Dawson Creek, British Columbia current weather conditions and 7-day forecast. Features quality programs and education services such as Nova and Frontline. The CipherTV Home package is the best value in home entertainment with over 90 channels, and something to watch for everyone in the family. Add-on additional channels our Theme Packs or create your own Custom Pack. With TSN you get live sporting events, including NHL Hockey, NFL and CFL Football, and NASCAR racing, in high-definition. With TSN2, you get live sporting events, including NHL Hockey, NFL and CFL Football, and NASCAR racing in high-definition. Canadian regional sports specialty channel owned by Rogers Communications serving most of all Ontario. It is one of four Sportsnet regional feeds. Latest sports news, scores, standings, video highlights and more. Up to the minute, sport headlines, news, results, sport. CTV News Channel is an all-news channel that presents immediate, comprehensive and sustained news stories geared toward its Canadian audience. TELETOON offers classic fare including Bugs Bunny and Scooby Doo as well as popular new and original shows. Live performances, interviews, and music programming from the best homegrown and international artists. YTV, Canada’s leading kid and family network is seen in over 10.5 million households across Canada..
Live news coverage, award-winning documentaries and distinctive current affairs programming with a unique Canadian perspective. OWN: Oprah Winfrey Network is a multiplatform media company designed to entertain, inform and inspire people. From large-scale renovations to tips on purchasing real estate or sourcing stylish accessories, HGTV offers audiences series that inspire and entertain. Gusto offers food and lifestyle programs that celebrate cooking, entertaining, travel, home & style. Treehouse offers premium programming and a trusted, safe environment for little ones and their families. Food Network is Canada’s favourite destination for entertaining and inspiring food-related experiences. Turn to the network with the most unpredictable stories, the most unforgettable characters, and the best movies and series. Offering a vast assortment of exclusive products and top brand names to its customers. Original programming that celebrates diversity and promotes understanding among people of different faiths and cultures. GameTV is playful when you are. With blockbuster movies, competition-based series and classic game shows. Grace TV is a part of Grace Media Ministries with a vision to build a “Gospel Voice to the World”. for participating network channels, additional fees may apply, details TBA. The Weather Channel provide a national and local weather forecast for cities. OMNI Television specializes in Canadian multilingual / multicultural programming, International series and films. NBC is an American commercial broadcasting television network and is part of the larger media company NBC Universal. Features great movies and programming such as Dancing with the Stars, Modern Family, Desperate Housewives in HD. CBS provides high-definition programming including CSI, Without a Trace, NCIS, Two and a Half Men. FOX features sports, movies and popular network series such as Glee, American Idol. TV5 emphatically demonstrates the vitality of the French language, delivering an enlightening, choice programming. Intensely local, urban-oriented, culturally diverse television in an interactive style and all in HD. YES TV is the new home of your favourite reality TV shows, game shows, courtroom dramas. Offers programming such as NFL Football and World Cup Soccer, in Armenian, Greek, Chinese, Iranian and more! English-language public broadcaster, featuring local news coverage, mini series, sports and movies. Features a variety of programming such as Hockey Night in Canada and local news. Global is home to prime-time hits including Survivor, House, and ET Canada . Urban-oriented, culturally diverse television in an interactive style and all in vibrant high-definition. CHAT TV offers many local sponsorship opportunities for Programs, News. City-affiliated television station located in Medicine Hat, Alberta, Canada. City broadcasts intensely local, urban-oriented, culturally diverse television in an interactive style and all in HD. Canada’s national public broadcaster features a variety of programming such as Hockey Night in Canada and local news. Save money by adding pre-selected channels packs to your CipherTV Select package and tailor your channel line-up and bill to your own liking. Offering viewers distinct and entertaining sports programming. Canadian regional sports specialty channel owned by Rogers Communications serving most of all Ontario. Guide for the latest sports news, scores, standings, video highlights and more. Up to the minute, sport headlines, news, results, sport. Sportsnet ONE is a national sports channel, with more than 800 hours of live sports programming. Programming includes exclusive, live NBA games and playoffs, Toronto Raptors and NCAA. The Fight Network is the first and only all combat sports and entertainment channel. Look back at the most cherished classic games and moments from the world of sports. Turn on, tune in and tee off! Get golf news, tips and event coverage 24 hours a day, in high-definition. Sportsnet 360 HD is the newest addition to Sportsnet’s channel lineup and Sportsnet World. Live sporting events, including NHL Hockey, NFL and CFL Football, and NASCAR racing, in HD. TSN is Canada’s Sports Leader. Official broadcaster of the Grey Cup, World Juniors and the FIFA World Cup. WFN is a Canadian channel angling to provide an exciting selection of fishing entertainment. IFC offers the best of the best from such award-winners as Boogie Nights and Donnie Brasco. SPIKE is an entertainment brand for adults defined through bold, high stakes original programming. FX Canada boasts a distinctive roster of critically acclaimed and award-winning dramas and hit comedies. MTV Canada offers innovative lifestyle, talk and documentary programming that is bold, dynamic and interactive. Action offers a lethal combination of hit movies with spies and tough guys. Its entertaining and award-winning programs explore the fascinating worlds of nature, science and technology, and adventure. SPACE offers the best of science fiction, science fact, speculation and fantasy. Peachtree TV is an independent television station located in Atlanta, Georgia, United States. DTOUR™ reveals the drama, entertainment and ideas behind the everyday and the extraordinary. Offering true stories of exploration, culture, science, wildlife, natural phenomena and adventure in HD. Need to know right now? CNN features rolling news updates, along with a variety of specialty programs. BNN Bloomberg is Canada’s only network devoted to covering business, finance and economics from a Canadian perspective. This is BBC’s 24-hour news and information channel that features the most up-to-date news. OWN programming includes a mix of original programs, strips, specials, original documentaries and acquired movies. Entertainment and lifestyle programming ranging from comedy and drama, to red hot reality programming. Tune in for the very best in lifestyle television and reality programming. OUTtv is the world’s first GLBT (gay, lesbian, bisexual and transgender) television network to broadcast 24/7. Gusto offers food and lifestyle programs that celebrate cooking, entertaining, travel, home style. English-language channel dedicated to the world of art, architecture, photography and design. FYI is a new Lifestyle channel that covers a range of stories and experiences that reflect how people lives. Lifetime is the exciting new home to engaging characters and riveting stories that women connect with. W Network is the leading specialty network for women, delivering entertaining programming from movies. E! features a dynamic lineup of entertainment news programming, hit reality series, candid profiles of the world’s biggest stars. HBO Canada delivers a full slate of HBO’s award-winning, boundary-pushing, genre-defining series, films, comedies and live events. The Movie Network offers an extensive selection of the latest Hollywood and international hit movies. Starz 1 brings you a massive library of movies, from family favourites and cult classics to award-winning masterpieces. Starz 2 brings you a massive library of movies, from family favourites and cult classics to award-winning masterpieces. Groundbreaking movies of the 70s plus essential Hollywood classics. The biggest movies of the 80s – when everything was little bit bigger. The defining movies of the 90s, reflecting a world changing faster than ever before. Iconic movies of the 21st century….so far. Always uncut and commercial free. For film lovers, passion – seekers and those hungry for fresh ideas and perspectives. Learn about outer space, leading scientific exploration, new technology, earth science basics. Specializes in nonfictional programming, focusing on expensive cars, sports related shows. Delve into gripping documentaries and dramas about the people, places and events that have influenced our path to civilization. Canada’s ultimate destination for the latest news and information on celebrities, entertainment and pop culture. DejaView takes you back to the days when TVs had tubes. Get yoga. Get pilates. Get travel. Get cooking. Get inspired. If you like watching television with everything from nuts and bolts farm, ranch and agri-business program. Learn about creatures both wild and domesticated and their relationships to humans. The place on television where magical storytelling comes to life. The network features game shows, reality series, documentaries, video game programs and casino games. Nick is the channel where KIDS call the shots. ABC Spark is a 24-hour television channel featuring a unique blend of authentic and compelling entertainment. TELETOON offers classic fare including Bugs Bunny and Scooby Doo. TCM is the place to watch the largest collection of classic movies from the 1920s through the ’90s. MovieTime is the ultimate destination for Canadians looking for blockbuster hits seven days a week. This specialty service provides unparalleled access to hundreds of movies a month. Escape the ordinary and explore an unconventional entertainment experience. Headline News features rolling news updates, along with a variety of specialty programs. Presents immediate, comprehensive and sustained news stories geared toward its Canadian audience. Gusto offers food and lifestyle programs that celebrate cooking, entertaining, travel, homestyle. DIY Network offers the expertise and creativity you want when it comes to any home-improvement project. Learn about creatures both wild and domesticated and their relationships to human. T+E is a digital specialty channel with programming focused on adventure and entertainment. Programs that deal exclusively with outdoor recreation, sporting events, conservation, wilderness and adventure. Offering true stories of exploration, culture, science, wildlife, natural phenomena and adventure. TLC offers people of all ages an adventure for your mind. From high-profile drama to blockbuster feature films and riveting performances by today’s most popular musicians. H2 offers a deeper perspective on history from all around the globe. BET features music, news, comedy, sports, movies and spiritual programming. It’s the ultimate destination for Canada’s 12-24s, keeping fans on the pulse of the hottest celebrities. NBA TV Canada is the source for basketball in Canada. The channel specializes in nonfictional programming, focusing on expensive cars, sports related shows. Watch Cubs and White Sox baseball, Bulls action and many of your favourite shows, both retro and current. KTLA features a broad range of programming for every member of the family. Your source for coverage of New York-area news, weather, entertainment and more. WSBK generally broadcasts first run talk, court, and reality shows as well as some off network syndicated programs and a few movies. Programming includes news, sports, comedy and popular series as well as exclusive Chicago Cubs and White Sox baseball games. HGTV offers inspirational ideas to turn your home into your personal haven, indoors and out. Covering every room in your home as well as every corner of your garden. Experience the best, most powerful encounters with wildlife ever seen on television. The Comedy Network HD broadcasts an eclectic mix of scripted, stand-up, sketch, improv, and animated comedy. Watch Law & Order, Law & Order: SVU, The Tonight Show with Jay Leno, The Office. Watch ABC for such great programming as Dancing with the Stars, Modern Family. Programming includes news, sports, comedy and popular series as well baseball games. CTV Toronto HD offers a wide range of quality news, drama, sitcoms and sporting events. PBS, features quality programs and education services such as Nova and Frontline. CBC features local news coverage, mini series, sports and movies. Enjoy many of your favourite shows on Global, broadcast in high-definition. ABC HD features great movies and programming such as Dancing with the Stars, Modern Family. PBS features quality programs and education services such as Nova and Frontline. KTLA includes everything from comedies, children’s shows, sports, variety series, and movies. CTV Two Atlantic is a Canadian English language cable television channel serving Atlantic Canada. City Saskatchewan is a Canadian English language cable television channel in the province of Saskatchewan. A CTV owned-and-operated television station located in Regina, Saskatchewan, Canada. CTV Halifax is a Canadian English language cable television channel serving Atlantic Canada. It broadcasts a high-definition digital signal on VHF channel 8 from a transmitter located on Washmill Lake Drive in Halifax. Global News – breaking news, current latest Canadian news headlines. CBC television – Canada’s home for news, sports, lifestyle, comedy, arts, kids, music, original series & more. A CTV owned-and-operated television station located in Ottawa, Ontario, Canada. A CTV owned-and-operated television station located in Winnipeg, Manitoba, Canada. A CTV owned-and-operated television station located in Canada. A CTV owned-and-operated television station located Toronto, Canada. A CTV owned-and-operated television station located in Ottawa, Canada. Live breaking news, national news, sports, business, entertainment, health, politics.
. Catch up on favourites including Modern Family, Scorpion, 2 Broke Girls and more. If service is not delivered to the customers satisfaction, customer has 30-days from date service is installed to cancel and receive a full refund of their $250 order processing fee upon return of all rental equipment to AEBC. Shipping fees are non-refundable, and the order processing fee is non-refundable after the initial 30 day period. 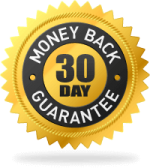 30-day Satisfaction Guarantee – If service is not delivered to the customers satisfaction, customer has 30-days from date service is installed to cancel and receive a full refund of their $250 order processing fee. Shipping fees are non-refundable, and the order processing fee is non-refundable after the initial 30 day period. The internet service will be provisioned to one existing cable jack inside the home and tested to work. Promotion does not include full installation; customer must plugin modem and connect CipherTV bar and routers themselves. Full on-site installation service may be requested for an additional fee. Any add-on channels or theme packs are not included in the promotional offer, customer pays monthly for those selected. If customer upgrades to the Home TV package, customer would pay the additional package fee from the date selected. Offer also available for AEBC Connected residential buildings at the same rate. 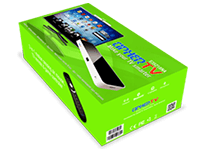 Extra CipherTV Bars are available for purchase at retail price, or for rental with additional deposit. This offer cannot be combined with other promos and is for new customers only who have not been using AEBC internet for the previous 3 months. Address must qualify for cable internet service to receive promo. If the CipherTV Bar or modem has any problems during the course of the service, it is customers responsibility to first troubleshoot with AEBC technical support, and if required to then send back the equipment to AEBC for repair or replacement. Customer is only responsible to pay for the shipping, if required, and not the repair or replacement cost of the equipment. The CipherTV Bar and modem equipment is property of AEBC. Customer must return the equipment and original accessories in good working condition with normal wear and tear accounted for. If equipment is not returned to AEBC immediately within 7 days of cancellation, AEBC will charge the customer for the full retail price of the equipment and upon successful payment will consider the equipment sold to customer. Customer is responsible to drop off to AEBC at its office, or for shipping charges if required. Switch to AEBC internet and start saving today! Sign up now and you’ll get the same service rate for 2-years, guaranteed! AEBC’s friendly, live support care team is available to call! Plus applicable taxes. Shipping / Handling and on-site installation (if required) not included in price.